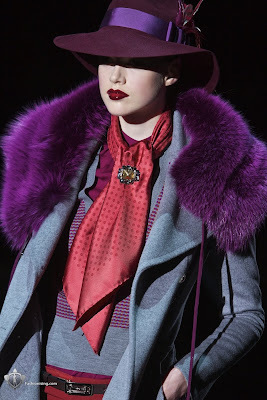 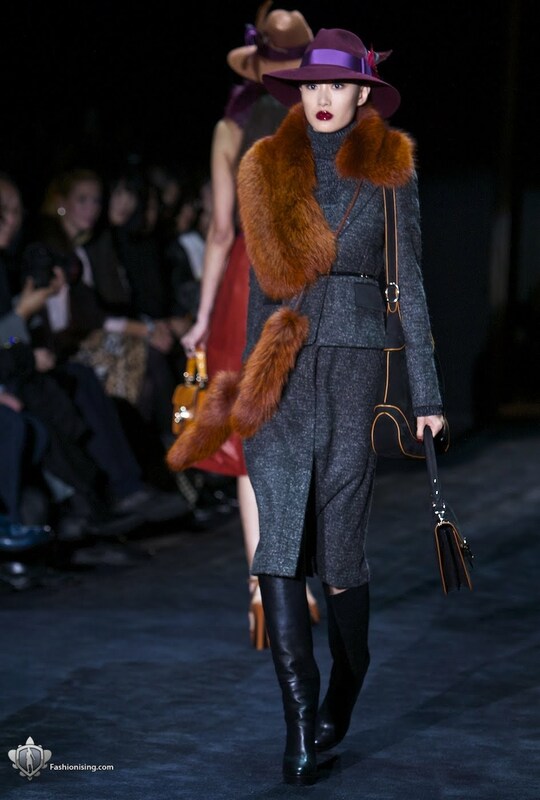 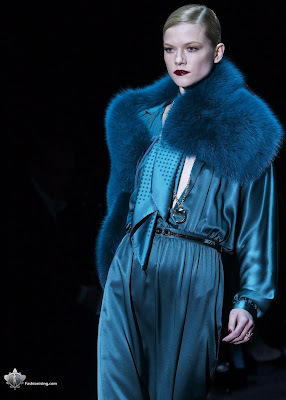 This fall 2011, Gucci has concentrated it's collection on bold luxurious colours and 1970's influences. 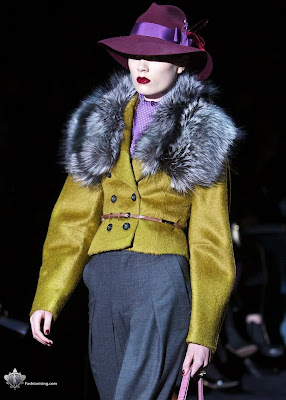 Personally I love the use of the lightweight chiffons and bold colours for a winter collection, as it completely redefines what we would expect to see from an AW collection. I love this gangster feeling for this collection.